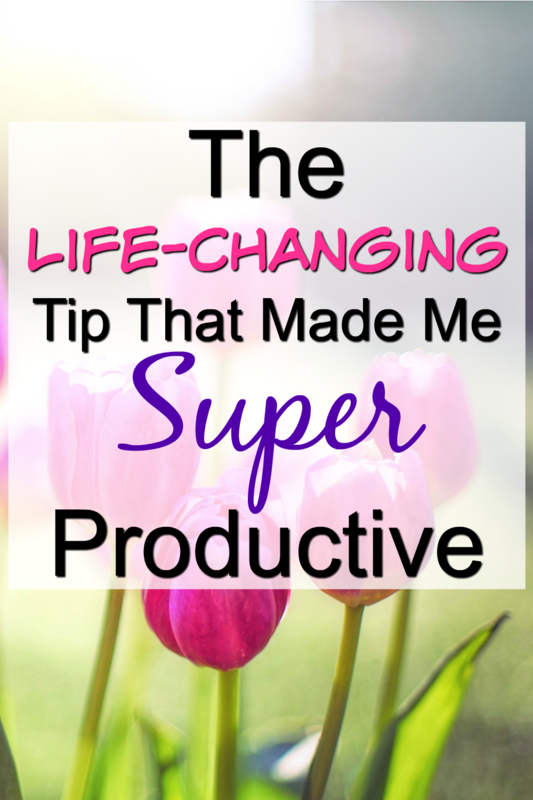 Do you struggle to be productive and have good time management skills? If so, know you are not alone! 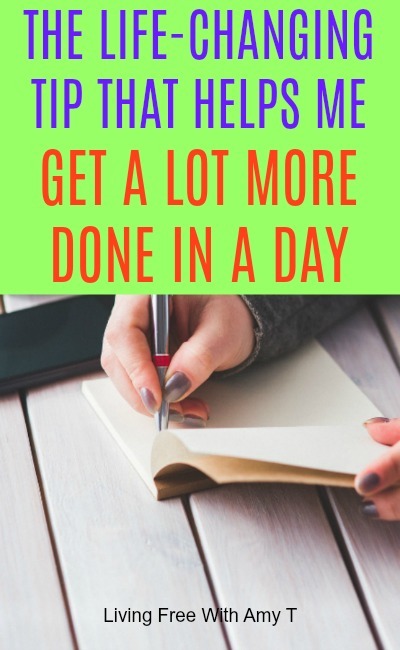 I think most of us can use some tips on how to get more done in a day. Whoa! Hold on there a minute, buddy. Are you kidding? I already wake up at 6:00am and feel like that in itself is too early. How am I supposed to wake up even earlier? I knew his intentions were good because with my long to do list everyday, I often don’t feel like I have gotten everything done I wanted to by the time my head hits the pillow at night. But I still thought he was crazy. I had tried waking up earlier in the past but it never really worked for me. I was always so tired and I didn’t stay motivated to stick with it for very long. And besides, why should I wake up when it’s still that dark out? That didn’t seem fair. But the more I thought about it, the more I realized he didn’t give me this advice to add more hours onto my day, but for a very different reason altogether. Now, let’s break these down a little bit. All of us have a time of day when we are most energized, creative, and ready to take on whatever comes our way. I recognized a long time ago that I am at my best first thing in the morning. Anything that I have on my to do list, I know I need to get done as early as I can, especially anything that involves thinking (more mindless tasks I can push off a bit). Once the day rolls on, I lose focus and get tired pretty easily. And once the evening comes around, forget about it! In those moments I may be able to still get some items on my list crossed off, but not nearly to the extent as first thing in the morning. In order to fully take advantage of this time frame, we must prioritize our to do lists. Prioritizing will help us with our productivity by first getting done the most important things during this time. That way we are not wasting any time when we could be knocking out vital tasks that must get done. After all, this time frame might not be very long! On a typical day, mine is only an hour. If you are not sure how to prioritize, check out A Simple Guide To Prioritizing. When I wake up early to get work done, I try and get as much as I possibly can done so I have less to do later. I know if I procrastinate, it will most likely never get off my to do list. But that’s just me! For you it might be better to start really cranking out everything you need to do once 5pm rolls around. Not everyone is a morning person. So I gave my husband’s a try and it has changed my world! I am able to start knocking things off my to do list long before I ever leave for work. I feel so accomplished by the time I head in for the day and know that it’s OK if I don’t get a lot done when I get home in the evening because I had such a productive morning. Yes, it was challenging at first to wake up that early. Even though I am a morning person that does not mean I jump out of bed with lots of energy. On the contrary, it’s a struggle to pull off the covers in the dark, cold morning. But I push myself to do it and after a hot shower, I am usually feeling pretty good. I am motivated to keep going knowing I am accomplishing much more than I would have otherwise. Plus, there are plenty of people that wake up even way earlier than that and would love to be able to sleep in until 5:00am. I get that. And I’m not trying to take anything away from those people. To me 5:00am is a challenge but I am making it work. Of course, when it comes to getting more done in a day, I usually try to acknowledge that I do not yet have kids. I know that kids can throw a wrench into any plan! But I also know parents who are creative and do their best to work schedules around to their advantage. Ruth Soukup of LivingWellSpendingLess has said that she often wakes up at 3:00am to get stuff done before her kids wake up! She knows what she needs to do to be most productive and makes it happen. Even though I already knew that I do my best, most focused, and productive work in the morning, it took somebody else to say it before I would stop making excuses as to why I couldn’t make a change. So here I am asking you, what time of day are you at your best? Are you a morning person or a night person? Maybe you are a middle of the day kind of person. Determine what time works best for you and then begin making changes so you can knock off most of your to do list during that time. If your work schedule interferes with that, you may need to make some sacrifices such as I did by waking up way earlier than I ever thought I wanted to. If you are at work when you are at your best (which is not a bad thing since you also need to be productive at work! ), then maybe you can use your lunch breaks to get things done. Be creative and sacrifice if you have to. If getting more done is important enough to you, it will be worth it in the end. What kinds of things help you get more done in a day? Please share in the comments below!